Dubai: It’s something a lot of travellers would least expect. Your plane lands after a long-haul flight and suddenly you see ambulances, fire trucks and police waiting on the ground, and before you’re allowed to leave, you’re getting checked by some health personnel. "So, I just landed from Dubai and now there is like tons of ambulances and fire trucks and police all over the place,” tweeted pop star Vanilla Ice, who was on the same plane. Emirates confirmed that its flight from Dubai to New York was quarantined shortly after arrival on Wednesday as some of the passengers fell ill.
A total of 19 people aboard the double-decker aircraft were declared sick, but only ten to 11 people were hospitalized. Emirates had earlier confirmed that out of the more than 500 passengers, 10 people – three passengers and seven crew members – were taken to the hospital for medical care and evaluation. “Nine passengers underwent additional medical screening at the site near the aircraft and were released afterwards,” an Emirates spokesperson said. In its updated statement, the US Centre for Disease Control and Prevention (CDC) said the number of hospitalized patients have reached 11. There were earlier unsubstantiated claims on social media that 100 people came down to some illness. What did the passengers get sick with? The affected travellers were "probably" sick with influenza, according to health authorities. Benjamin Haynes, senior press officer for new media branch at the US Centres for Disease Control and Prevention (CDC) told Gulf News that the passengers came down with fever, cough and showed symptoms of gastrointestinal illness. “CDC was alerted earlier this morning of an Emirates flight from Dubai that arrived at JFK with passengers, including crew members, complaining of illness, including cough, fever and symptoms of gastrointestinal illness,” Haynes said. At a press conference, New York City acting health commissioner Dr. Oxiris Barbot also said the passengers were "probably" suffering from influenza. Did the travellers get sick while on the flight? 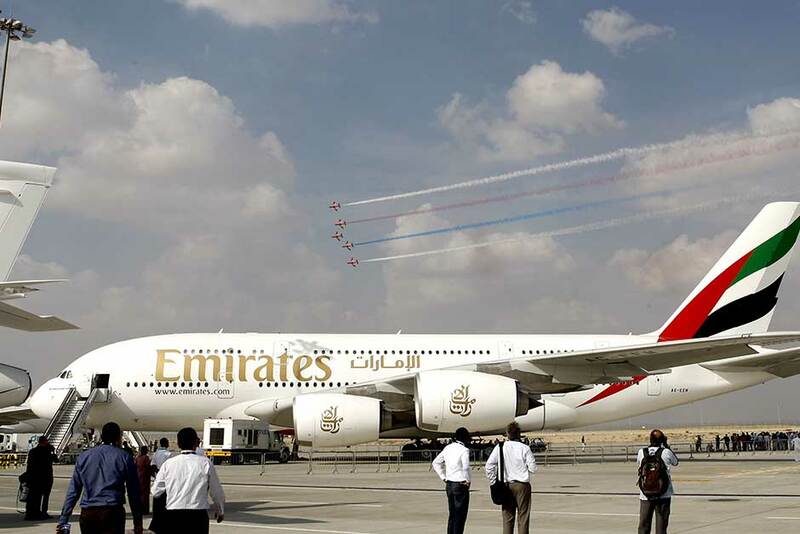 Erin Sykes, another passenger, said she noticed some of the passengers were already sick even before the Airbus A380 departed Dubai International airport. What about the rest of the passengers? Are they contagious? The the rest of the passengers were allowed to leave and have been cleared by customs. This may indicate that they don't pose any risk to people around them. “We are requesting the passengers who have been evaluated and released to call their provider and health department if they develop any symptoms, and to give their travel history and report of incident,” said Haynes. Where did the sick passengers come from? The non-stop flight originated from Dubai, but there were reports that some of the affected passengers originally came from Mecca in Saudi Arabia. As of this writing, neither Emirates nor the health officials , could not provide any additional information on the affected passengers’ travel history. While health officials have said that the affected passengers were "probably" suffering from influenza, the underlying cause of the illness has yet to be determined. Patients that have been admitted to the hospital are still under further observation and health personnel are still processing test results. Barbot said that until the final test results are out, they won’t be able to “give a final determination on what the underlying cause is” of the illness. According to the World Health Organisation, influenza is a contagious acute respiratory disease caused by viruses, usually influenza A or B subtypes. The virus can spread from person to person through sneezing, coughing or direct contact with infected secretions. The illness has a typical incubation period of one to four days, and the symptoms are most likely to develop up to five to seven days after the person is infected, according to CDC.